Traumatic brain injuries (TBI), sustained by close to 2 million Americans annually, including military personnel, are debilitating and devastating for patients and their families. Regardless of severity, those with TBI can suffer a range of motor, behavioral, intellectual and cognitive disabilities over the short or long term. Sadly, clinical treatments for TBI are few and largely ineffective. In an effort to find an effective therapy, neuroscientists at the Center of Excellence for Aging and Brain Repair, Department of Neurosurgery in the USF Health Morsani College of Medicine, University of South Florida, have conducted several preclinical studies aimed at finding combination therapies to improve TBI outcomes. In their study of several different therapies—alone and in combination—applied to laboratory rats modeled with TBI, USF researchers found that a combination of human umbilical cord blood cells (hUBCs) and granulocyte colony stimulating factor (G-CSF), a growth factor, was more therapeutic than either administered alone, or each with saline, or saline alone. “Chronic TBI is typically associated with major secondary molecular injuries, including chronic neuroinflammation, which not only contribute to the death of neuronal cells in the central nervous system, but also impede any natural repair mechanism. In our study, we used hUBCs and G-CSF alone and in combination. In previous studies, hUBCs have been shown to suppress inflammation, and G-CSF is currently being investigated as a potential therapeutic agent for patients with stroke or Alzheimer’s disease.” said study lead author Cesar V. Borlongan, PhD, professor of neurosurgery and director of USF’s Center of Excellence for Aging and Brain Repair. Their stand-alone effects have a therapeutic potential for TBI, based on results from previous studies. For example, G-CSF has shown an ability to mobilize stem cells from bone marrow and then infiltrate injured tissues, promoting self-repair of neural cells, while hUBCs have been shown to suppress inflammation and promote cell growth. The involvement of the immune system in the central nervous system to either stimulate repair or enhance molecular damage has been recognized as key to the progression of many neurological disorders, including TBI, as well as in neurodegenerative diseases such as Parkinson's disease, multiple sclerosis and some autoimmune diseases, the researchers report. Increased expression of MHCII positive cells—cell members that secrete a family of molecules mediating interactions between the immune system’s white blood cells—has been directly linked to neurodegeneration and cognitive decline in TBI. “Our results showed that the combined therapy of hUBCs and G-CSF significantly reduced the TBI-induced loss of neuronal cells in the hippocampus. Therapy with hUBCs and G-CSF alone or in combination produced beneficial results in animals with experimental TBI. G-CSF alone produced only short-lived benefits, while hUBCs alone afforded more robust and stable improvements. However, their combination offered the best motor improvement in the laboratory animals.” said Borlongan. “This outcome may indicate that the stem cells had more widespread biological action than the drug therapy. Regardless, their combination had an apparent synergistic effect and resulted in the most effective amelioration of TBI-induced behavioral deficits.” said Paul R. Sanberg, distinguished professor at USF and principal investigator of the Department of Defense funded project. The researchers conclude that additional studies of this combination therapy are needed to provide better insight into their modes of action. While this study focused on motor improvements, they suggest that future combination therapy research should also include analysis of cognitive improvement in laboratory animal models for TBI. Traumatic brain injury, also known as intracranial injury, occurs when an external force traumatically injures the brain. 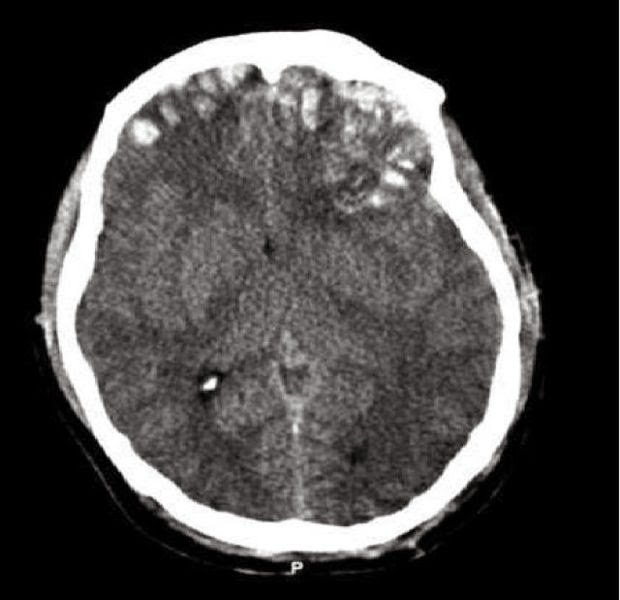 TBI can be classified based on severity, mechanism (closed or penetrating head injury), or other features (e.g., occurring in a specific location or over a widespread area). Head injury usually refers to TBI, but is a broader category because it can involve damage to structures other than the brain, such as the scalp and skull.